The Official Summer Camp of the Italian Fencing Federation has arrived! From 12° to 20° July, 2019 in Lavarone, Alpe Cimbra. 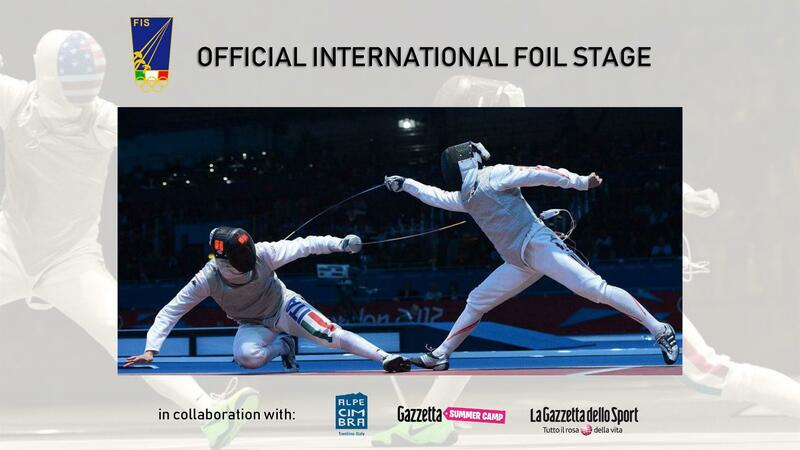 Foil Stage dedicated exclusively to foreign athletes and trainers who wish to master their technique and coaching skills. The Italian Fencing Federation will give the opportunity to all the foreign athletes to train with the Italian foilsmen, foils women and masters of the National Italian U20 Foil Team. The eight-days stage will be dedicated to special workouts, assaults and combat sessions next to the Athletes of the National Italian Team, to get ready in the best possible way for the 2019/2020 season. Foreign trainers will have the chance to attend training classes held by the Italian Masters, to improve their coaching skills. The Summer Stage is organised in collaboration with La Gazzetta dello Sport, Italy’s most famous sports newspaper. The Summer Stage will take place in Lavarone, a little town located in one of Italy’s most wonderful mountainous region, Trentino-Alto Adige.